This helps you connect to the same back muscles you need for Stomach Massage, Reach Back, Hip Circles on the Mat and Reverse Push Through on the Cadillac. There are various stages. Whether you’re just learning them or you’re ready to fly, there is a level for you. The key is to reach in two directions. 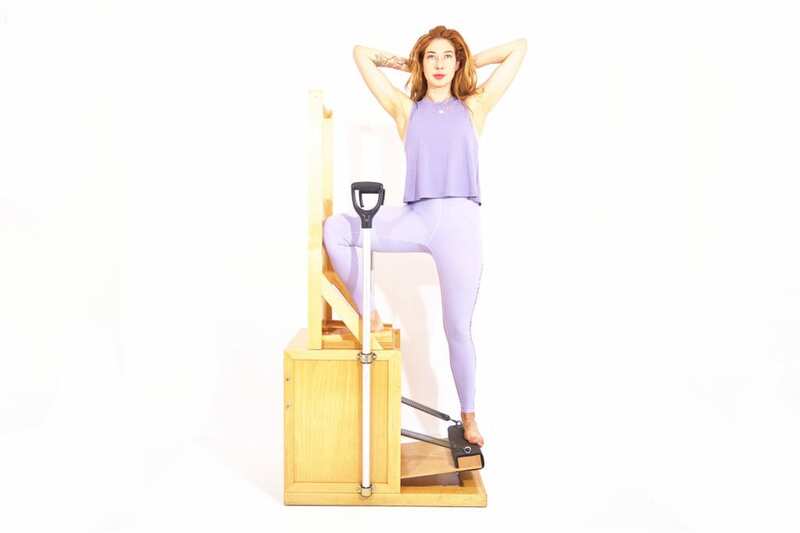 Learning to stand on one leg while externally rotating the other is a skill you need to strengthen your practice and improve your balance in life! Going Up Front will make you face your fear of heights, teach you how to lift up even as you go down, use both legs equally and work the whole body. 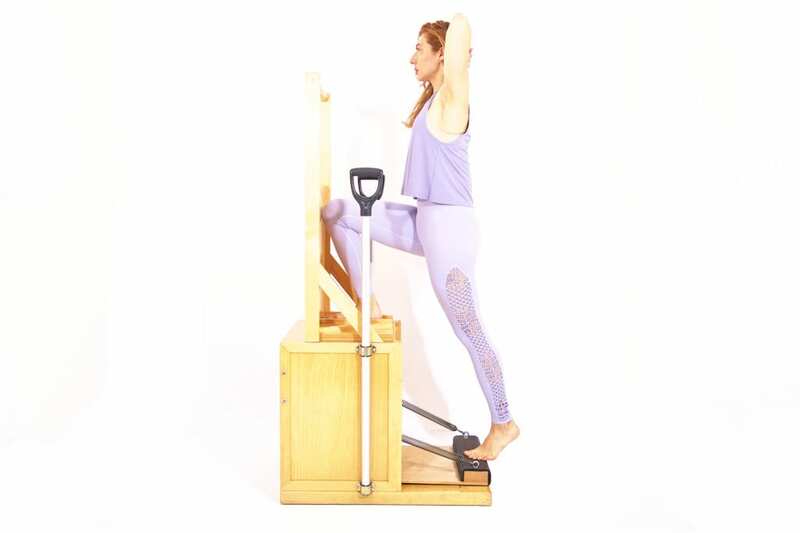 The Press Down Series challenges your whole body in three positions. 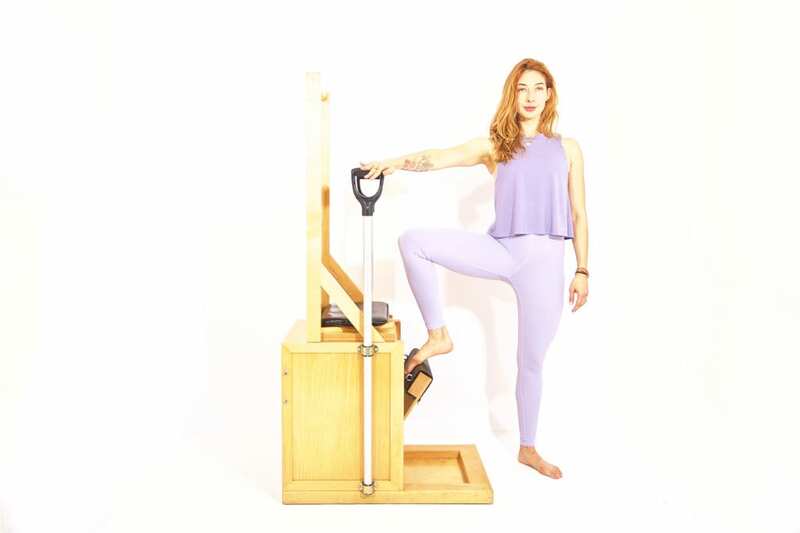 The Side, engages your inner thighs and strengthens external rotators and standing leg. 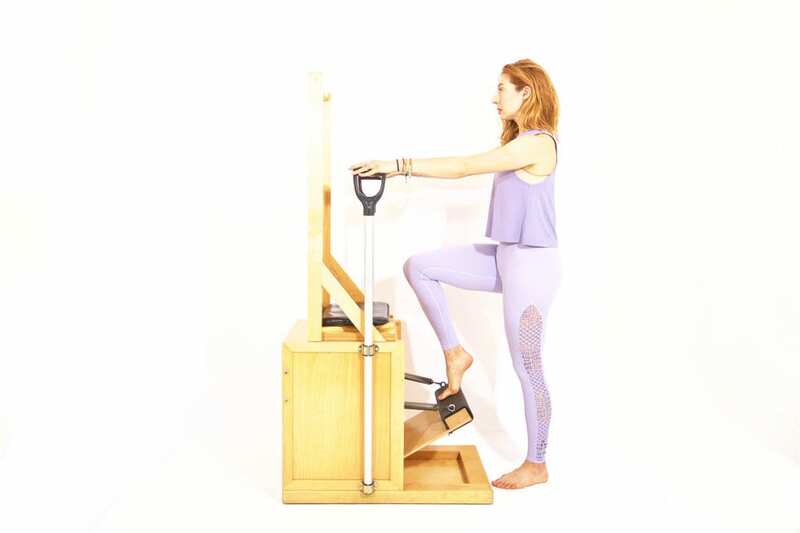 Press into the pedal as you lift it up. Resist the springs. 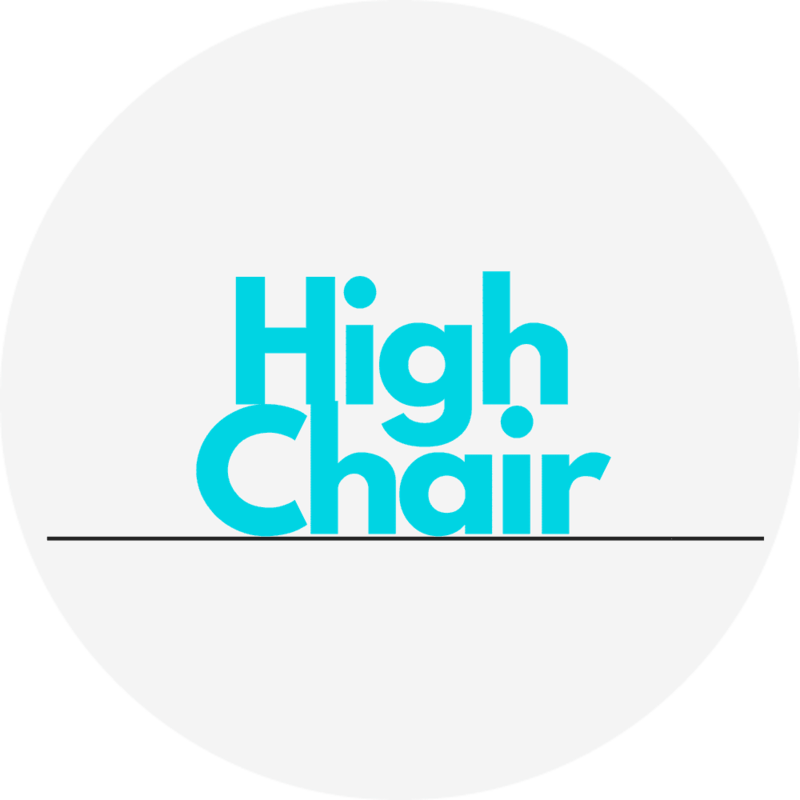 Can you do it without the pedal pulling your hips into the chair? That is the challenge! Use the Press Down Fronts to help you discover the connection to your seat and remain tall when the pedal returns to the top. Challenge your standing leg! This exercise will teach you how to keep it all together when you’re moving the pedal. And this is a key strength for all your Pilates exercises.